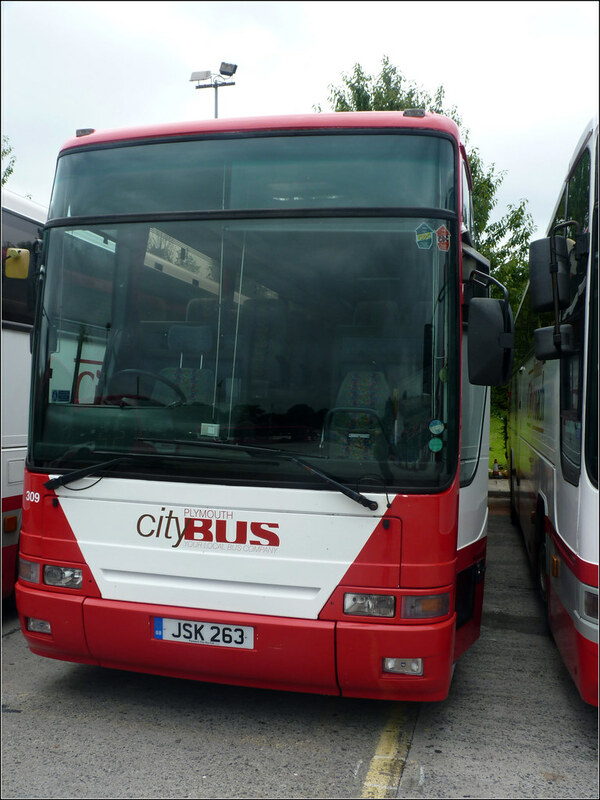 It is still in full red and white Citycoach livery and now carries its original registration R309STA so presumably JSK263 will soon reappear on one of the remaining coaches WA03MGE or WA03MGJ. Is it £5000 for the 2 Atlanteans or £5000 each? Ex Plymouth Citybus 309 R309STA is still in former Citybus livery. It now is number 7009 here on the island. I will keep you informed with photos on my flickrstream.